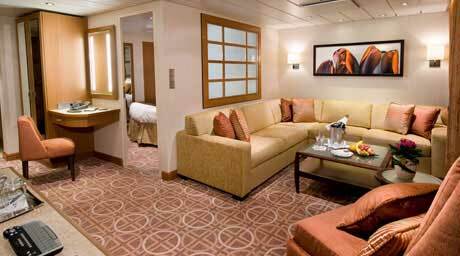 When you stay in a Celebrity Suite, you’ll enjoy the luxury of European-style butler service. This includes assistance with unpacking and packing. In-suite lunch and dinner service. Afternoon tea. Evening hors d’oeuvres and complimentary in-suite espresso and cappuccino from Café al Bacio.. 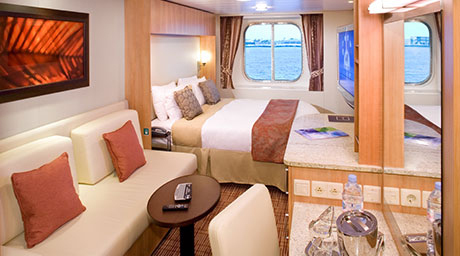 Approximately 394 square foot stateroom with 105 square foot private veranda. 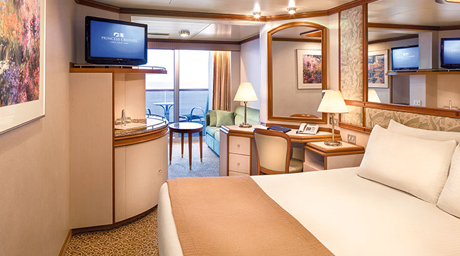 When you stay in a Sky Suite, you’ll enjoy the luxury of European-style butler service. This includes assistance with unpacking and packing. In-suite lunch and dinner service. Afternoon tea. Evening hors d’oeuvres and complimentary in-suite espresso and cappuccino from Café al Bacio. 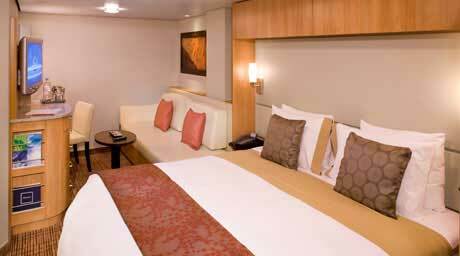 Approximately 300 square foot stateroom with 79 square foot private veranda. Prices are per person based on double occupancy. 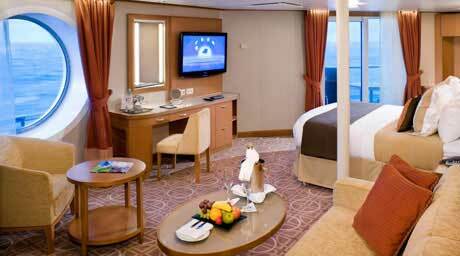 Does not include taxes, gratuities and port charges. 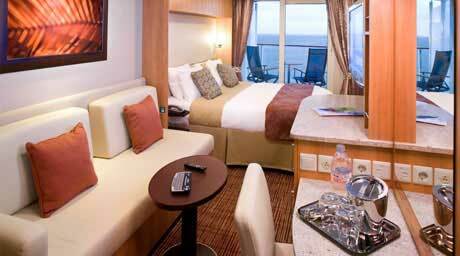 Single rates, suites, and other categories are available on request.